Abuja | How Can I Get Involved? 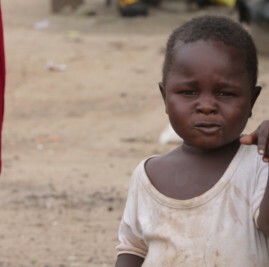 The displacement of old, young and children sweeping across the Northern states also crept into Nigeria’s capital where the locals are living their days out in IDP camps set up to give these people a place to live. A stall has been created for the children to use as a school. There is a need for teachers and clothing for the students. Global Shapers Abuja teamed up with TFAA to set up the hub here.